There is one thing certain about entrepreneurs, especially in the fitness industry, is that we are all wired a certain way. I know you know what I am talking about! You have ungoing lists in your head, on a hard drive or slip of paper with so many ideas for you to do with your brand or business! Maybe you own a clothing company and want to expand into making other apparel! Or you own a niche fitness center and you want to add more to what you’re offering! All of these ideas can be a double-edged sword for us entrepreneurs. This is because when you have all these spontaneous ideas you can lose focus of what has been working for your brand or business. Your target market can get lost in all of the new ideas or products you bring to market. If you attended the 2017 conference you’ll remember when Chris and Heidi Powell spoke about their brand. Obviously, everyone knows Chris Powell from the Extreme Weight Loss show, in which he worked with extremely overweight clients for a year and they had incredible transformations. Eventually, Heidi joined the picture and they were able to work with more and more clients. Well, this was what started the Powell success, their backbone was working with these big transformations. But, then they were being contacted by people that wanted to gain muscle or just lose just a little bit of weight. Because the Powell brand was so successful in their original target market, they were able to take on more than the extreme weight loss transformations. Since then, they have launched their Transform App, written books, updated websites and social media to gear towards any transformation that someone wants to take on. This is an extremely important lesson for all of us to learn from. Even though you have a thousand ideas, don’t drown yourself, your brand or business in them. 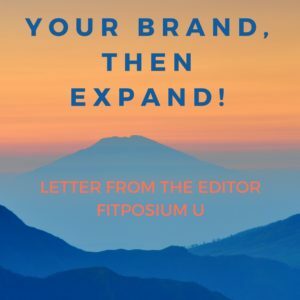 Try not to stray away from what has worked for your consumers until you are stable enough to expand, or if you’re like Chris and Heidi, you’ll have people asking you for more! No matter what type of market you are in make sure you are making your buyers happy first and foremost! 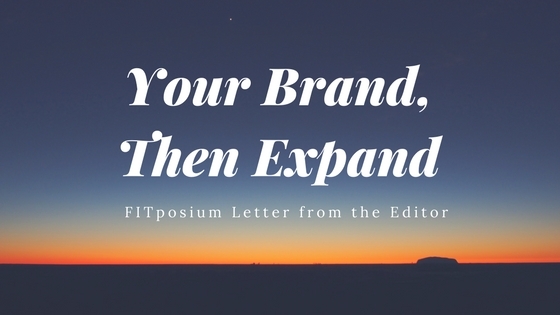 Your eccentric entrepreneurial spirit, on top of being fitness professionals, means there are going to be a lot of crazy and amazing ideas for where you can take your brand or business. You need to make sure you have full control of it, take a step back before you move forward in something and make sure you’re established enough before taking a big risk! So, to continue your success remember… YOUR BRAND, then EXPAND!